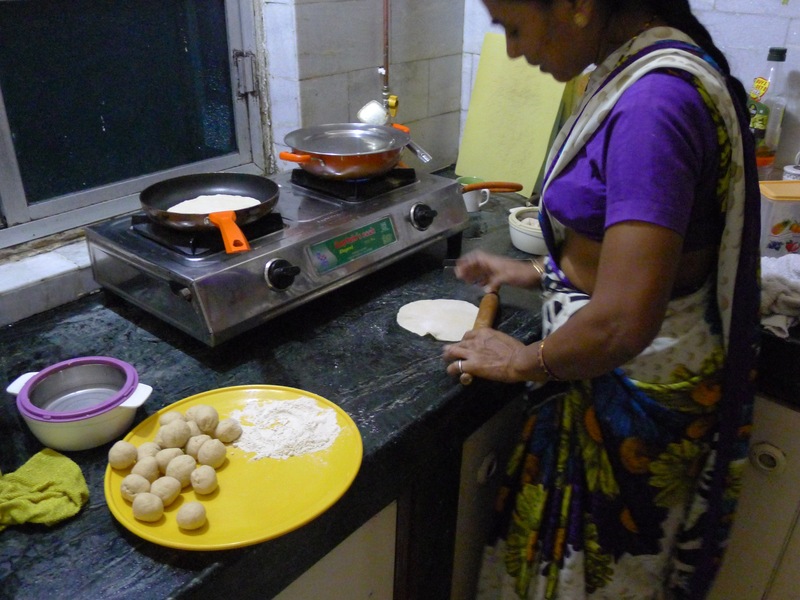 Last night we watched Aneeta make our evening meal. She is amazing to be able to take whatever vegetable we buy and make it into something delicious with just two burners and a couple of well used knives. 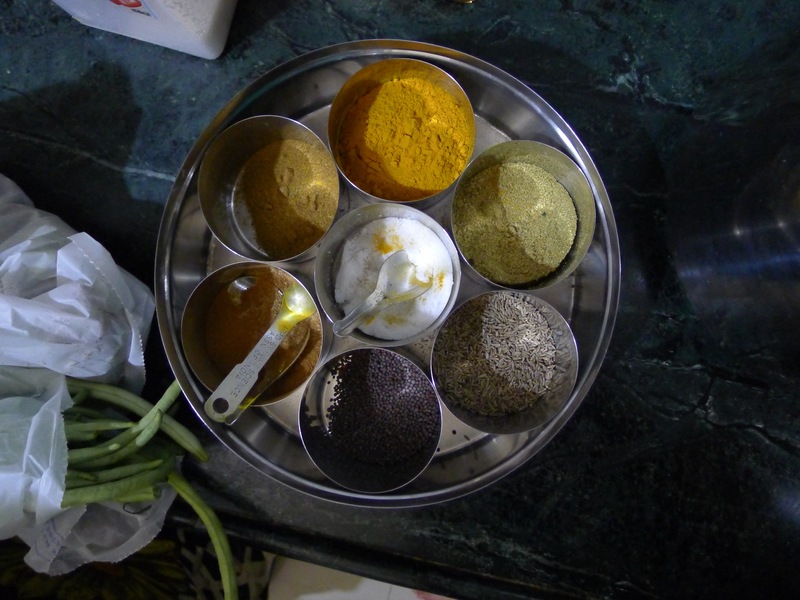 She started the chai (which she makes for us and for herself every night) and the rice. 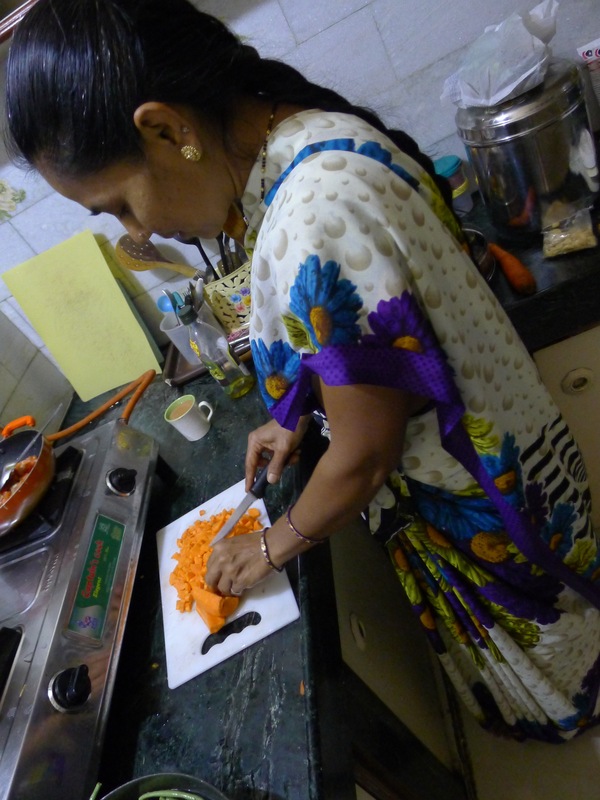 While they were on the burners she started preparing the carrots and beans. 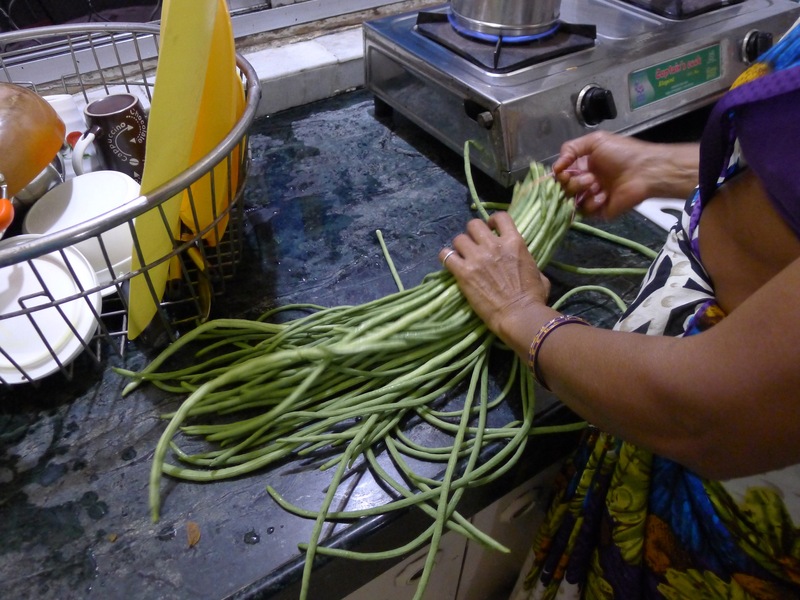 These were the longest beans I have ever seen, at least a foot long. 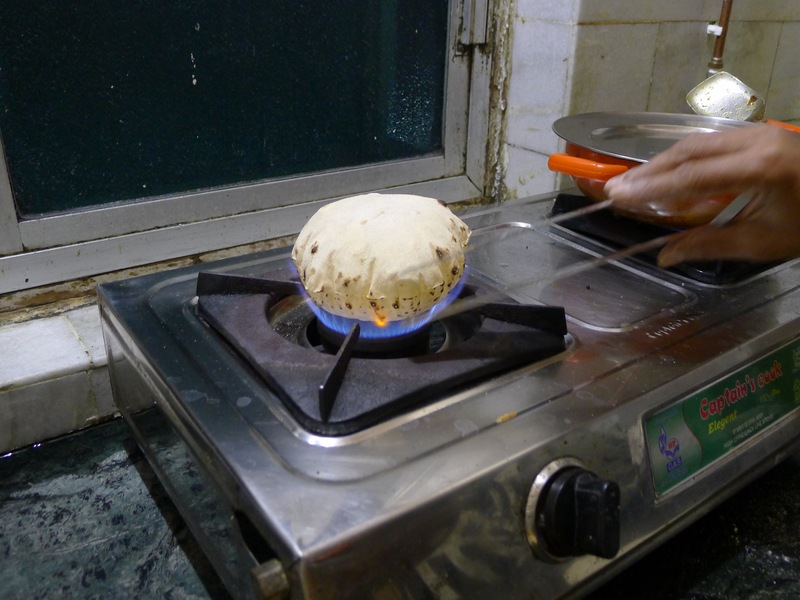 One the chai was done she put another pan on that burner, warmed it and put oil in. She added the garlic, onion, and spices, let that cook a while, then added the carrots and finally the cut into inch pieces beans. 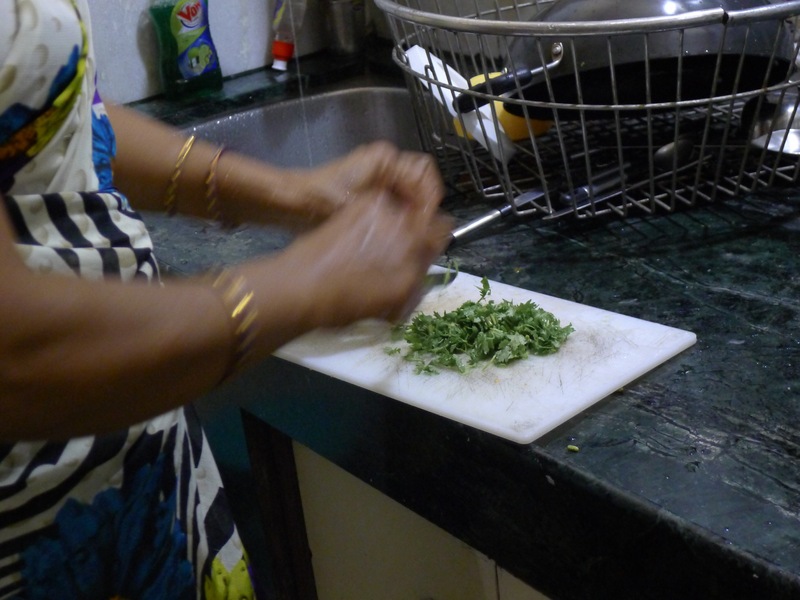 She adds fresh leafy coriander at the last minute. 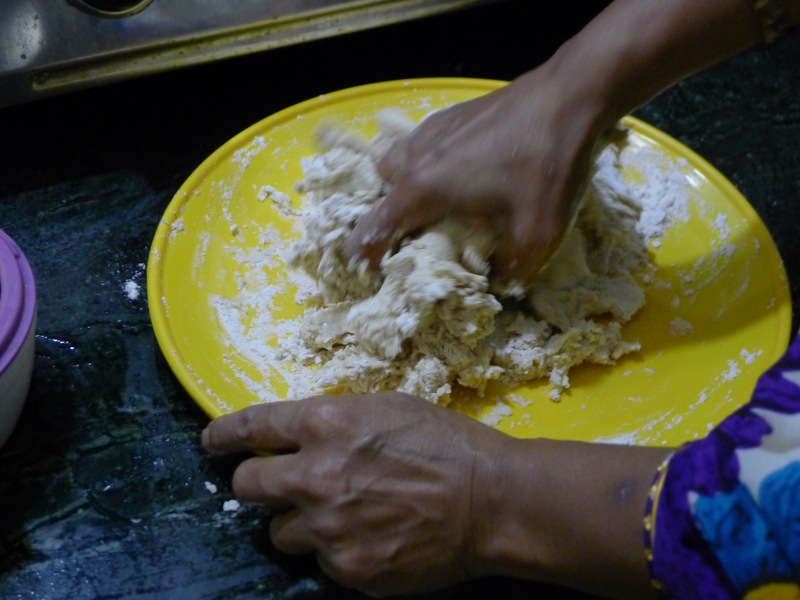 The real fun, though, is to watch her make chipati, the flat bread that comes with every meal. A teaspoon of salt (or so), a cup of flour (or so, she does not use any measuring devices) and water make the dough. She divides it into walnut sized balls and then assembly line style rolls and cooks them in a pan. Each side is in the pan about 10 seconds and then she takes the piece of bread out of the pan, the pan off the fire, and puts the piece of bread right on the flame. It expands into a sort of balloon! This entry was posted on Friday, October 13th, 2017 at 2:07 am and is filed under Uncategorized. You can follow any responses to this entry through the RSS 2.0 feed. Both comments and pings are currently closed.